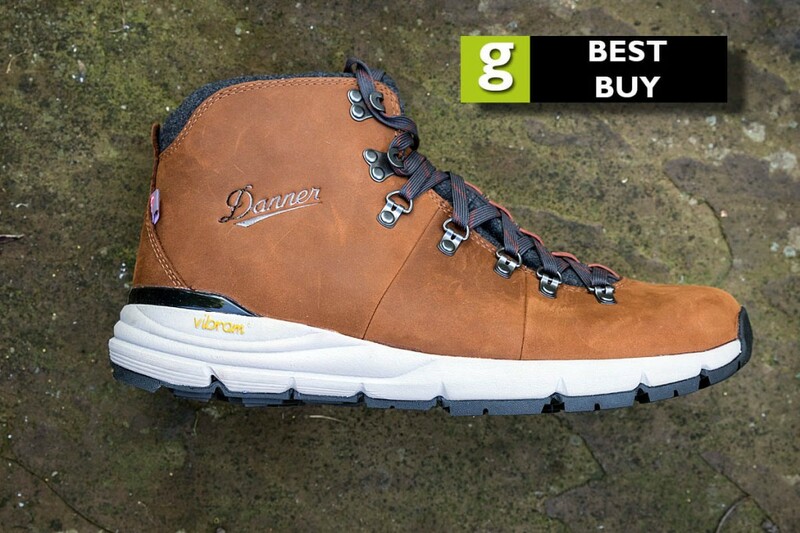 When we tested the version of Danner’s 600 boot without insulation, we were impressed by the performance of footwear that doesn’t look that technical but actually worked really well on the hill. This Weatherized model incorporates a PrimaLoft insulation layer to help keep your feet protected from winter temperatures. The uppers are tan-coloured full grain leather, which is supple but gives some protection against rocky terrain. There’s a hardened toe box with an upwards front extension of the outsole to guard against knocking against rocks in this area. The heel cup is also stiffened and holds the foot well. 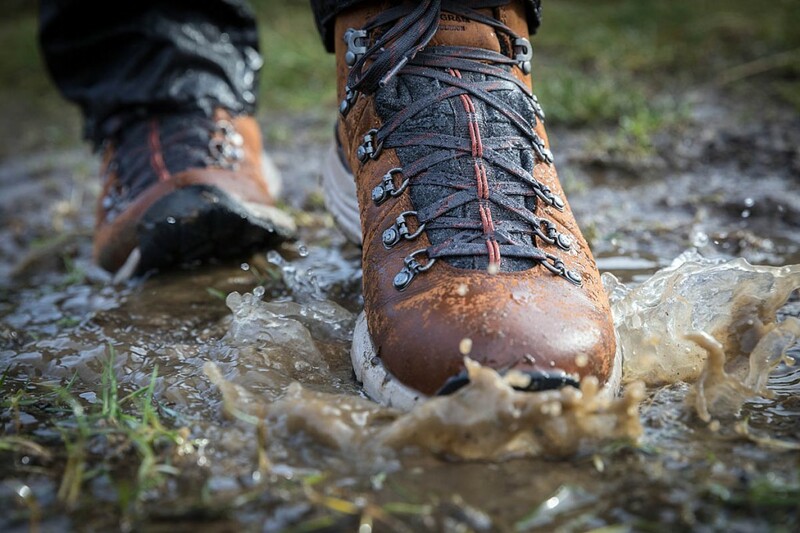 As well as the insulated layer, the water-resistant leather is backed by a Danner Dry membrane to keep the rain and splashes out. There’s a moderate amount of padding in the ankle cuff and the tongue is mainly insulated fabric, with a leather panel at the top where the laces tie. The tongue was comfortable, though the ankle cuff could benefit from a little more foam. The ankle of the boot is mid-height. Lacing is by five pairs of metal loops, with two more pairs of metal hooks at the top, which lock reasonably well, though it’s not that easy to create different tension levels on the forefoot and ankle. Despite that, the boots were very comfortable in use, and there was no slipping forward of the foot or heel lift on downward and uphill sections. The laces feed freely through the d-rings, so uniform tensioning can be achieved. There’s a good amount of underfoot cushioning, from a combination of the Vibram Specialised Performance Elastomer midsole, which combines rubber with EVA. Danner says this provides the best durability and cushioning at a low weight. The Ortholite insole also has cushioning, particularly in the heel area. 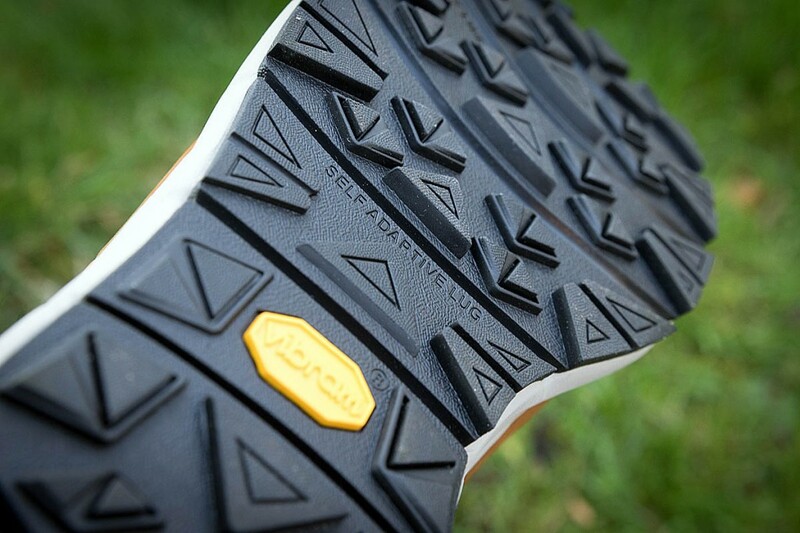 The Vibram Fuga outsole has 4mm-deep lugs made from the Megagrip compound, and has lateral flex lines that aid bending of the sole with the natural walking gait. The soles provided very good traction and braking on a variety of surfaces, in the dry and wet. There’s a deep y-shaped flex groove in the heel and the whole midsole-outsole unit is a wedge shape with no instep recess, and has a slight rocker curve. In use, it gave a comfortable walking action. The forefoot in our medium-width pair was actually quite wide and there was no pinching of the foot while walking. The Danner Mountain 600 Weatherized boots are quite lightweight for a leather model, with our size 9½s tipping the scales at a little over 1,200g a pair. This, combined with the supple leather and good underfoot cushioning, made them a very comfortable companion on even longer walks. 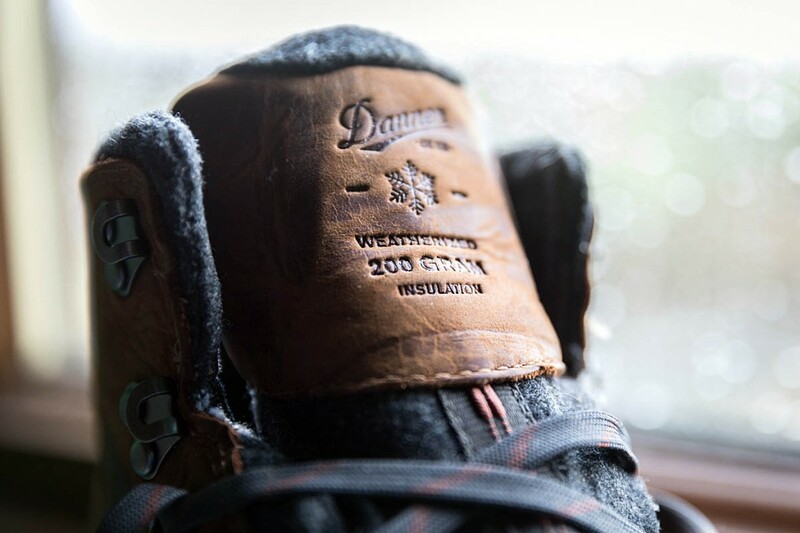 The addition of Primaloft insulation was welcome during winter excursions, and the leather and Danner Dry membrane kept the rain and snow out. 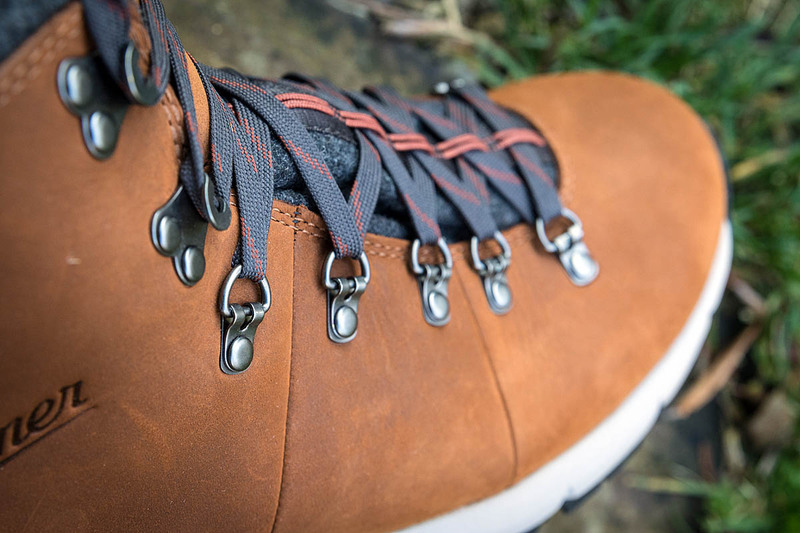 The Danner boots are smart and stylish enough to be used in everyday and urban situations, yet are technical enough and have surprisingly impressive performance to be used on hill trails. They’re not what we would class as true winter boots: they won’t take crampons and aren’t stiff enough to kick footholds in névé, but they are a good everyday boot for town and country and that includes walks on maintained paths on the hills, or even off track on moorland terrain. Quality was good and we liked the classic styling that doesn’t obviously shout ‘outdoors’, yet within the Mountain 600 Weatherized is a proper technical boot that will cope well with typical UK upland trails as well as those slushy winter walks to work when public transport and the road network has ground to a halt. Sizing was about normal, despite Danner’s statement the boots measure on the slightly large side. The boots are medium volume. The Mountain 600 Weatherized insulated boots were provided by Danner.